Located just 40 minutes away from the heart of George Town (take buses 201, 203 or 204) in Air Itam, this Buddhist Temple with Chinese influences is well worth exploring and best of all it’s absolutely free! These last Bastions of traditional Chinese settlement are a fascinating way to explore George Town on foot. Although some Jetties are quite commercial, if you wander on the outskirts you’ll find a much more authentic experience. One of my favorite breakfast options is Dim Sum, and I dragged Audrey out of bed several times while stationed in George Town to enjoy an assortment of different dishes while sipping on copious amounts of tea. A leafy lush refuge from hectic George Town, the Botanical Gardens are a great place to seek shade and feel at one with nature. One will almost certainly encounter cheeky monkeys along the way. Take the time to gaze and wander along George Town’s waterfront views. You will likely spot cruise ships, tankers, ferries, humble row boats and fishermen. Explore Fort Cornwallis and its plethora of cannonballs built after the founder Francis Light. Little India is one of the most colorful and diverse enclaves found in George Town. Grab a roti and curry and listen to the thumping sounds coming out of loud speakers. Few activities are more fascinating than taking a tour on foot around George Town’s historic colonial area. You will notice many of the mansions are crumbling before your very eyes. 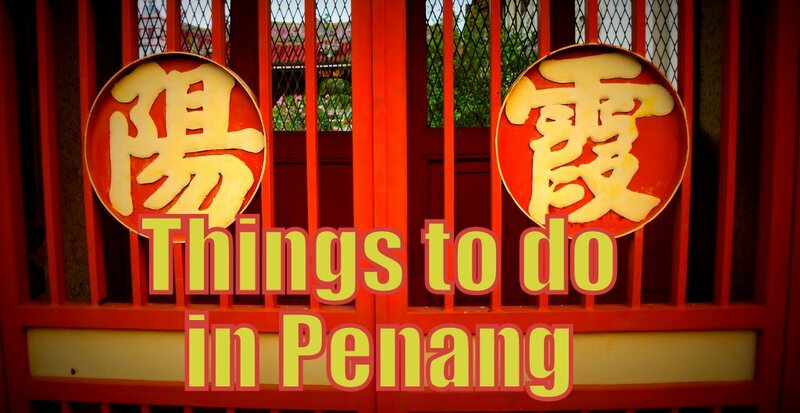 I hope you enjoy these 8 recommendations for ways to spend your time in Penang, Malaysia. Penang looks absolutely great. I will make sure I do your 8 things and visit the recommended attractions if I get a chance to visit Penang next time! Thanks for sharing nice information, it really helpful to everyone. It is necessary to understand the logic and go right direction…. I’ve never been in Malaysia but I know how beautiful this country is. The culture is so nice and I would say that, it’s one of the beautiful countries to really visit. Great list of great tips… Thank you. They are worth remembering. Thank you Josie! 🙂 I’m really glad you liked it. Thanks for watching. Cant wait for our trip there! Nice to see those little eateries, must be cheaper. How many days did u spend there? Thanks Apol, those little eateries have a lot of character. We were there for roughly a week. Don’t know how but you did it again! Great shots, nice bits of history/education and the production quality goes up with every video. From gorgeous vistas to furry friends.